Kerry Cassidy was a co-founder, with Bill Ryan, of Project Camelot which wants to offer whistleblowers a platform to "dare to speak." She also was the co-founder of Project Avalon. From the Project Camelot web site: Kerry Lynn Cassidy has a BA in English with graduate work in Sociology, an MBA certificate from the UCLA Anderson Graduate School of Management, and was competitively selected to attend a year of film school at the UCLA Extension Short Fiction Film Program as one of their first "hyphenates": a writer-director-producer. After 19 years in Hollywood working for major studios and independent production companies in production, development and new media, she has written a number of screenplays, acquired the movie rights to the Wingmakers story in 2003, and started work on her own UFO documentary in 2005. At the time of writing (July 2006) she has completed three interviews for Project Camelot, and is planning 21 more over the coming months. 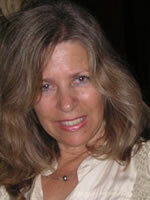 Kerry Cassidy also is a member of the Advisory Board of the Exopolitics Institute. Sources: Project Camelot web site, and the Exopolitics Institute.